When it comes to a stamp of approval for crime fiction, the Deutscher Krimi Preis (the German Prize for Crime Fiction) is what you’re looking for. 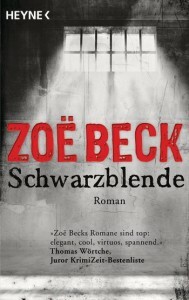 Each year the Bonner Krimi Archiv in Germany selects the top three national and international crime fiction titles. The jury consists of 23 literary critics, booksellers, bloggers and journalists with a penchant for bloody murder and nail-biting mysteries. Detective Chief Superintendent Jakob Franck has been retired for two months and feels that he can now start to lead a life in which he leaves behind the dead—until a case from his past catches up with him. Sold to Seagull (English world rights) and Emons (Italy)—English Sample Translation available. 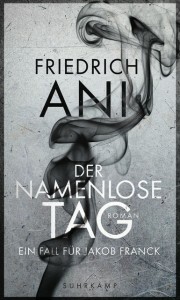 For further information on this title, please contact the Suhrkamp Foreign Rights Department. A rubber dhingy, a majestic cruise ship, a freighter and the sea rescue—they all come together in a forceful political thriller. Merle Kroeger paints a picture of the Mediterranean as a holiday paradise and the cradle of the European culture—but also as a frontier for today’s Europe. 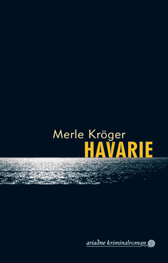 For more information on this title, please contact Argument Verlag. Cameraman Niall Stuart is on his way to the supermarket when he sees two men attack and kill a soldier for no apparent reason. Niall tapes the scene with his mobile. One of the killers comes up to him holding a blood-covered knife and calmly tells him why he has committed the murder. Niall becomes famous from one minute to the next. Little does he realise when he is commissioned soon afterwards to make a documentary about the case that he has been chosen to do this special job for reasons that are more than a little gruesome. For more information on this title, please contact the Random House Foreign Rights Department.